What could be more fun than interviewing your author husband? I could think of a lot of things; snorkeling in the Caribbean, cruising the Mediterranean, having a cappuccino and biscotti in Venice… Be that as it may, I undertook the daunting task of interviewing my husband, Neil Newton, about his book “The Railroad” and his experiences writing. We’ve been married for over thirteen years so I know just about everything about him. I survived the writing of his book, often reading chapters for typos, continuity, and so on. Being a writer’s wife is rather like having a pregnant spouse. Of course once the real baby is born there is no editing process. That is reserved for book babies. So even after the book is written there are the edits, re-writes, more edits, read-throughs, and re-edits of the re-edits. Once the book baby is born there are the endless promos, struggles to get reviews, and questions about the quality of what has been hatched. You would think I was ready to set “The Railroad” aside. Not really. I actually like the book. I have a love/hate relationship with Mike Dobbs, the male protagonist. I am annoyed by Eileen Benoit and her pesty child Megan. But I love the darned story. I like the struggles Mike faces, I love the lawyer Moskowitz, and I found the end of the story satisfying. But I digress. 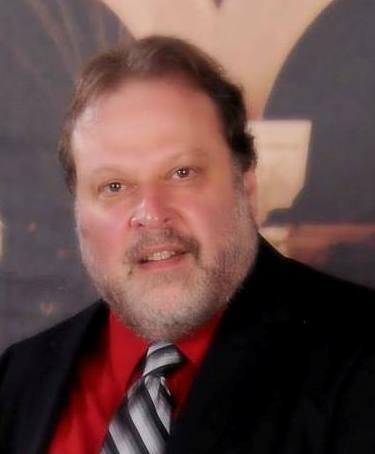 Feeling as I do I decided to interview the author as I have other author’s whose works I have read and reviewed. So here it is; my interview with Neil Newton, author of “The Railroad”. I always feel funny coming out and saying it like I’m talking about the weather but I was stuck in the subway a block from the world trade center as the twin towers went down. We actually backed up into Wall Street station (possibly a first for New York) and I came up thinking I was still inside, even though I knew it was impossible. It was the fake 911 night caused by the dust from the towers. It was only when I saw a traffic light change from red to green that I realized I was outside. That would have to be Mike Dobbs who is the protagonist. He is a New Yorker, an IT guy, a lover of restaurants and bars. Like most true New Yorkers he has a love hate relationship with his city. He and I have a lot in common but he, unlike me, is ambitious and rich and headed for the corporate summit. At least until his half hour in the subway. How close to your own experience on 9/11 is what Mike Dobbs went through in the subway? Very close. I changed the name of someone who was really with me in the subway. Most of the rest of it is autobiographical. Was it difficult for you to recall the experience of that day while writing “The Railroad”? That’s an interesting one. Usually when writing is going well there is a flow and you have an instinctive sense of how the overall story and dialogue are flowing. When I wrote the scene in the subway I had to go over it about twenty times. Each sentence seemed like they had nothing to do with the other sentences. I didn’t “feel” anything about the scene. I just kept reading it and changing it in the hope that it would read well. Very weird. Child abuse, especially parental sexual abuse, is a touchy subject for many people. What made you choose that as one of the focuses of the story? I was confused about the connection myself for a while. 911 and child abuse; doesn’t seem like there was any connection. 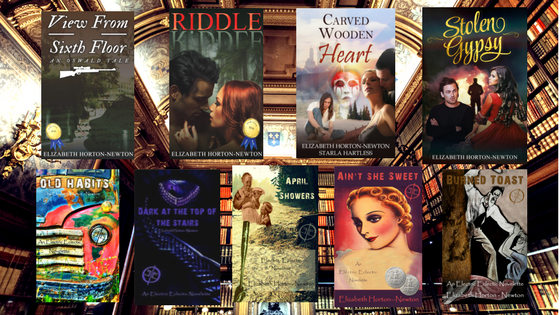 I’m not sure about other authors but I tend to make odd connections between things. I think a lot of fiction is an author processing things in his or her life and coming up with metaphors for the issues of your life. For me, 911 pulled the rug out from under me, almost like an earthquake or some natural disaster. I had nowhere firm to stand. Someone had hurt my home; that’s the best way I could put it. It was that level of hopelessness and fear, that the ground can just be pulled out from under you, that inspired me to bring child abuse into the story. People’s ability to handle life is firmly rooted in the belief that life is safe and consistent and they can adapt. When you can’t adapt, things become confusing. Children who are abused experienced what I did on 911 every day. Also veterans. It’s waiting for the other shoe to drop. I still feel it sometimes. How did you learn about the real railroad? I am a fan of Andrew Vachss. Most people don’t know who he is but, among other things, he helped get Megan’s law passed. He is a lawyer who defends children exclusively. He’s the type of hero you hear about in legend, led by his morality before anything else. He also writes. Reading his books led me to articles about Faye Yeager, another hero. Like the members of the slave underground railroad, she and others courted arrest and conviction to do what was right. That underground railroad helped spouses and children of abusers by moving them from one safe house to another, protecting them from further abuse. As far as I know there are still organizations that do the same thing. However time has reduced the cache of the movement in the press. You don’t hear about it any more. I lived in New York for forty one years. Mike Dobbs does pretty much what I do for a living. I had read enough books about child abuse to understand the dangers victims face. All of the book was based on my experience, my reading and the experiences of people I’ve known. It tells the story of a young man from a small island in Central America who is a budding genius and receives a scholarhship to Columbia Univesity. While there he meets a wealthy fellow student who is the star of the physics department. I don’t want to give it away, but it involves an unlikely combination of a small tropical island, an exploitive venture capitalist running a power utility on the island and, oddest of all, the science and philosophy of Nikola Tesla. For those of you who don’t know who he was, he is responsible for the alternating current technology that powers just about everything electric that we use here and abroad. The story pits the technology and altruism of Nikola Tesla against the greed that seems to be the foundation of our financial institutions in this age. Definitely. As a child I was influenced by the late Jean Shepard. Shepard had a radio show in New York for years and I actually went to see him speak years ago. Readers will know him best for the movie “A Christmas Story” which was an amalgam of short stories from two of his books. Shepard provided me with the humorous aspects of my writing. I have also been heavily influenced by Andrew Vachss who I mentioned before. Vachss’ style is sort of a modified version of the sparse hard-boiled detective narrative of the nineteen forties; sort of a film noir feel. I can’t say I have a process. Ideas enter my mind and percolate, sometime for years. Once I find myself thinking about a story often enough, I know that I want to write it. I usually write at night simply because I have a day job. And there are certainly times when I don’t write. I always come up with the beginning and end of a story before I start writing. I often “block” on the middle; I sometimes have to walk away from a story because my writing becomes stale. But sooner or later, it gets done. I will usually move around the story, concentrating on parts that inspire me at the moment, especially if I’m finding a particular other area of the story challenging. 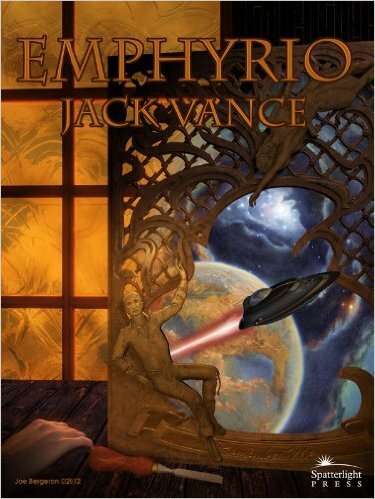 “Emphyrio” by Jack Vance. Jack Vance and his appeal to me would require a blog’s worth of prose. I will say that Jack Vance is a master of creating societies, both human and alien, in incredible detail. “Emphyrio” is a story about overcoming oppression. For me it’s inspiring. If you could make your book into a movie, which one would you choose and who would portray the main characters? After seeing a couple of seasons of Penny Dreadful I would put Josh Hartnett in the role of Mike Dobbs. He’s the right age and pulled off some very impressive performances in Penny Dreadful. Jessica Chastain should play Eileen Benoit. As for the Megan, the daughter, I think it would have to be an unknown; I don’t know of that many young actresses. Sometimes you’ll work on a book and, if you move around a lot and work on different parts, you end up with a book length jigsaw puzzle. The cure is editing and it’s always part of the writing process. Chasing down small details that might be fifty pages apart but conflict with each other is very painstaking. A common example of this is changing someone’s name by accident in the middle of a book. Multiply this one detail by a thousand and you have a standard editing job. I do read them. Most of them have been good. But the story is dark and a little disturbing; there are some people who are upset by the less pleasant parts of life. I’ve had a few reviews where the extreme dysfunction of the characters bothered them. Essentially the various forms of PTSD in the book were not appealing to some readers. I take this philosophically; I’ve met many people who feel that their lives are an example to the rest of us and that negative behavior is the result of weakness. Considering the way the world is, I see that as a bigger delusion then the worst victim of PTSD. I find it hard to take attitudes like that seriously. No. While it is consuming, writing does not dominate my thoughts constantly. A story that touches something personal. That can sound very trite but when I read a book and feel like it was written for me and addresses something important in my life, even metaphorically, I am happy. I remember writing when I was six. Very strange stories. I remember that I was thrilled because I wrote a science fiction story that my teacher liked. Morality with a good dose of sarcasm. It was “The Zebra Affaire” by Mark Fine. It intelligently clarified an area of history that I’d never explored. I was shocked by the horrifying level of cruelty of South African apartheid. We need to keep these things in mind. There are always new holocausts. Well, there’s only one book, another on the way. 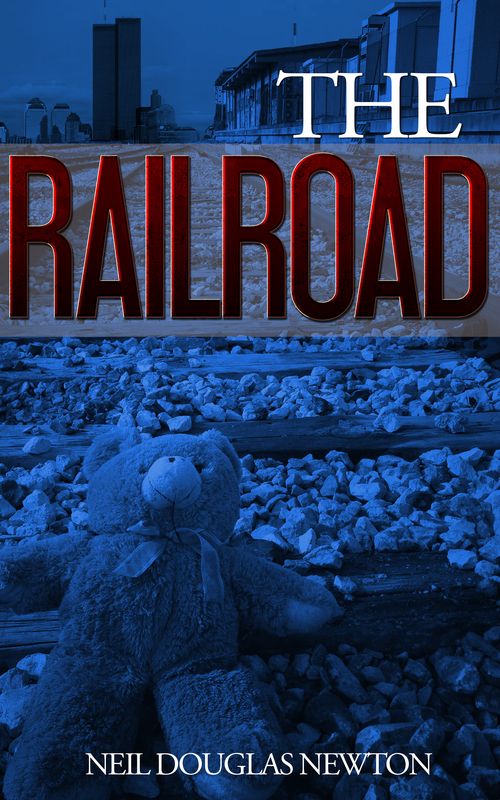 Since my book The Railroad incorporates child abuse into the plot, I would love Andrew Vachss to review it. His books have been inspiring to me and taught me so much, both about writing and abuse. He is the type of hero they don’t make anymore. In your book the character Moskowitz asks a question that is something of an understory throughout the latter part of the book. In Ray Bradbury’s Farenheit 451 the characters memorize books to “save” them when all books are being burned. They are known as Book People. If you were a book which one would you be and why? “Emphyrio” by Jack Vance, of course. There are lessons in that book. Lessons about finding yourself and lessons about maintaining your freedom and autonomy in the face of forces that want to control you and keep you from life, liberty and the pursuit of happiness. 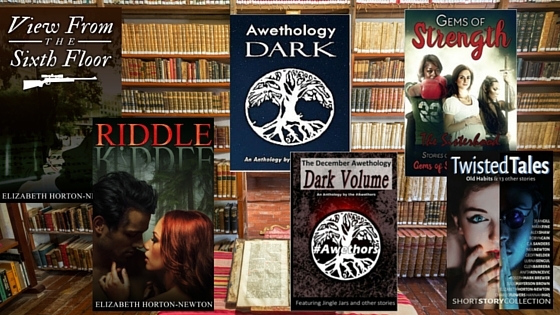 Fantastic interview – I lapped up every word! What a team. Fascinating insights too – thanks for being so open and honest. I’m glad you enjoyed it. It was an interesting experience to say the least. Stepping back and putting on that hat of objectivity isn’t really possible but it was fun to give it a shot. A brave interview! Fascinating connections in Neil’s responses and it’s interesting that you had to keep a distance in order to do the interview. Weren’t you tempted to use some inside information? Fortunately Neil is quite verbose, so throwing out a question and stepping back worked well. The most difficult part of the project was getting him to sit down and answer questions.